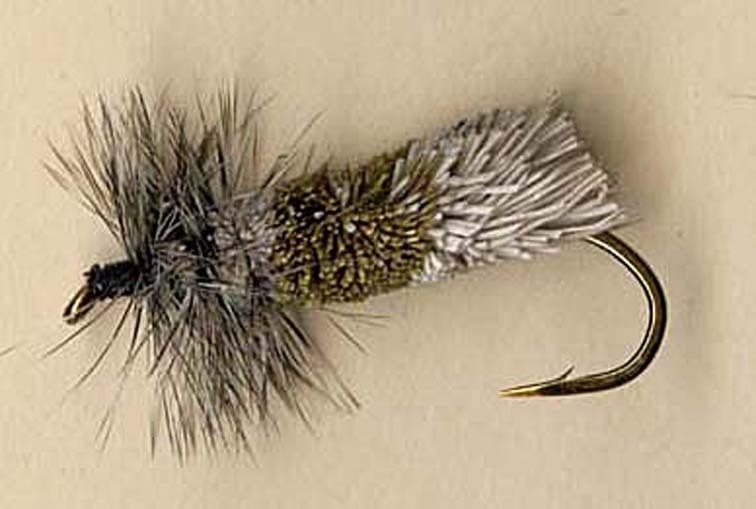 Elk Hair Caddis is one of the most universal flies; you chould have it in the sizes from 12 to 8, in different colors (white, cream, light olive, yellow-brown, and black). The flies out of the CDC feathers of grey and brown colors are a good choice for the Amur grayling in the fall. I am tying such flies with the wing directed 45 degrees backwards. This make its silhouette look like a wet fly; the fish will strike it not only on the surface, but also after the drag starts, and the fly will be pulled underwater. This tactic is especially successful when fishing in big rivers, with long casts. 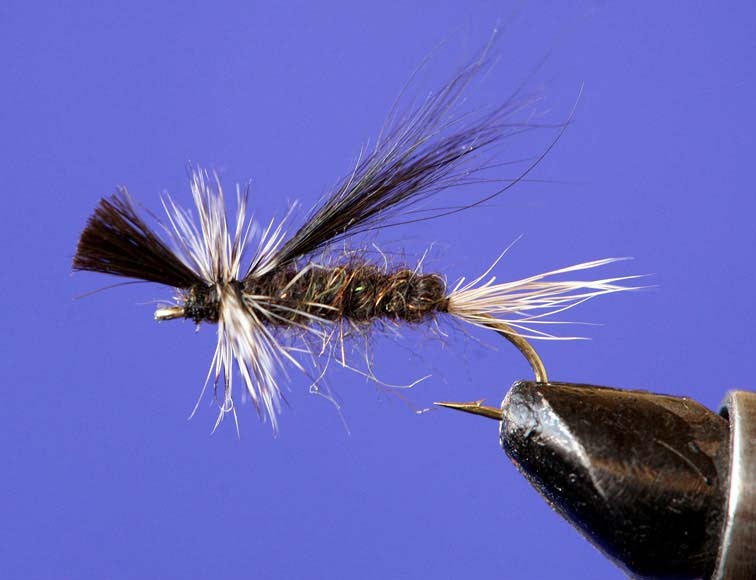 Goddard Caddis out of deer fur is one of the best imitations of the adult caddis. These flies are a must if you travel north, to Okhotsk, Kamchatka, or to the Kolyma River drainage. 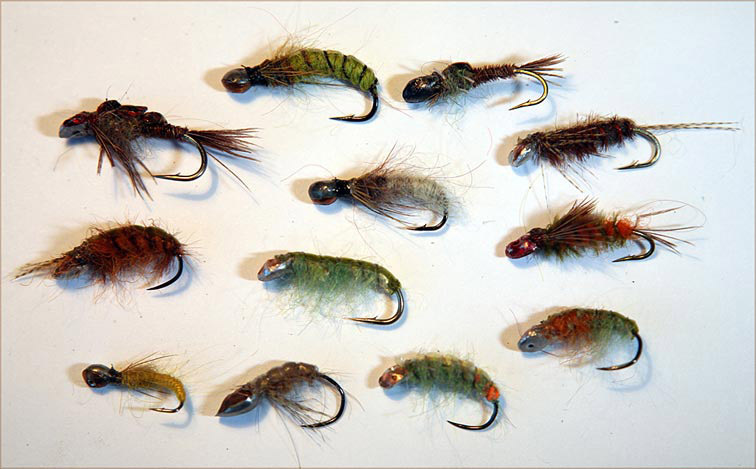 In the northern rivers the caddis-flies are more numerous than mayflies or stoneflies. 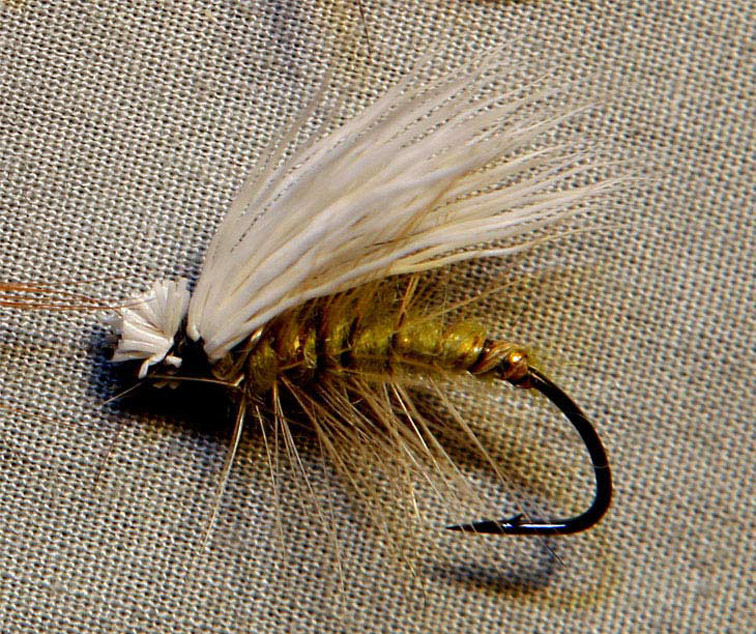 This fly is called Skating Caddis. Its wing out of the squirrel tail has a part directed forward. 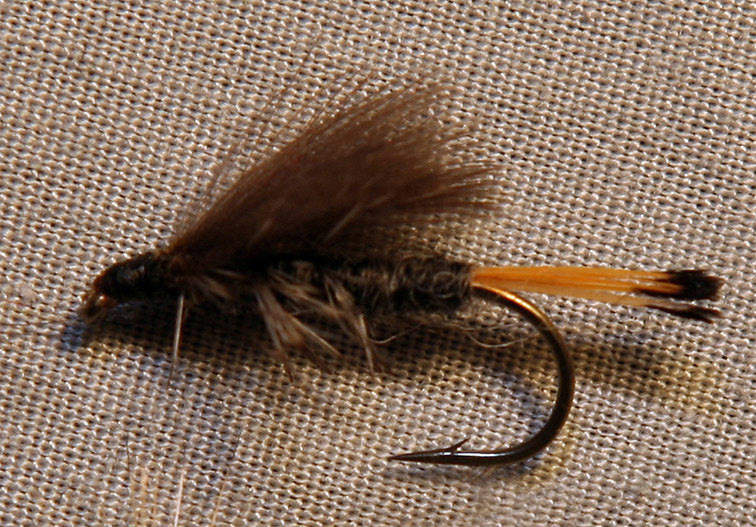 This bunch of stiff guard hair helps this dry fly to become a skater. Cast and present it as a normal dry fly; when the drag begins skate it on the surface. Big northern grayling love chasing caddis-flies running on the surface. Most of the flies used in the Far East by the local fishermen are the nymphs; lots of them are the scud imitations. These flies can be of literally any color: the local fish is sometimes prone to rather weird nymph colors like blue of purple. 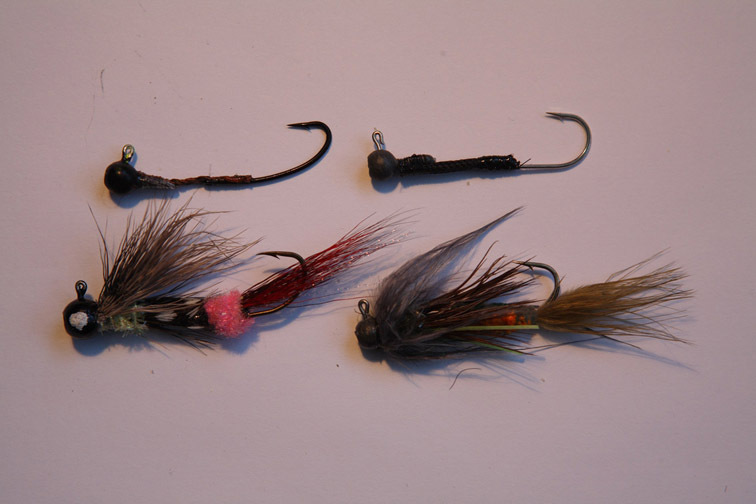 A set of the local grayling flies of the Far East. The Amur grayling is not color blind; often it will prefer a fly of a certain color. 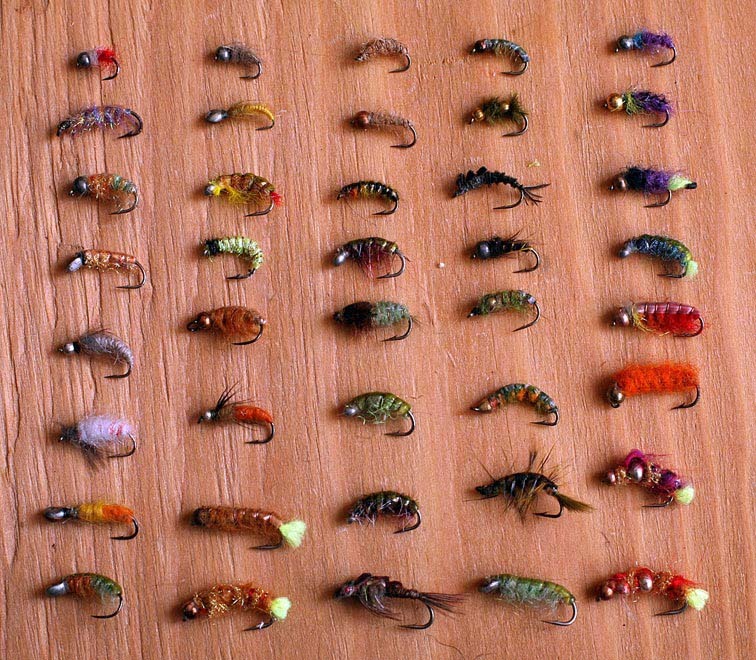 The local fishermen often carry hundreds of similarly tied flies of different colors. Lots of our flies are scud imitations. 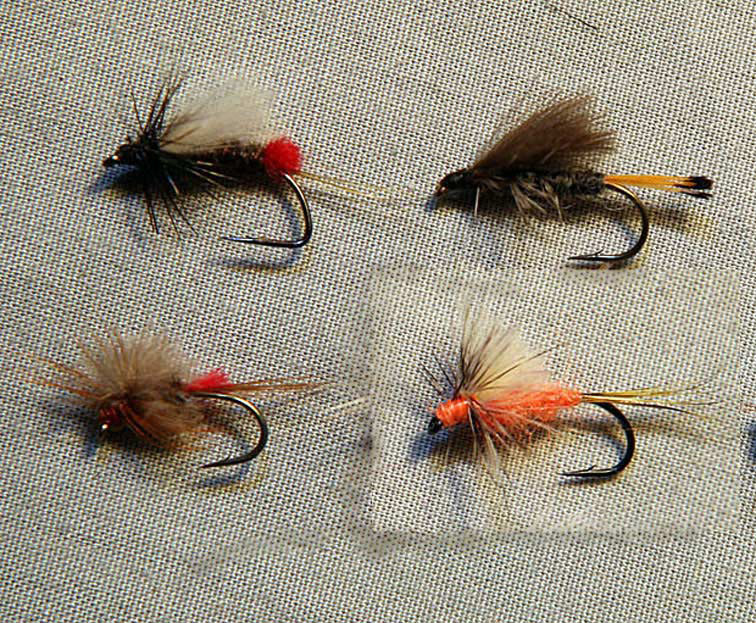 Traditional heavy flies with the soldered tin heads. One of the variants of a big stonefly found in our rivers. The heavy head and the hook are connected with a synthetic string in a shape of a tube. The hook is fastened in the melted tip of the string. My working desk; I am working on a series of the Articulated Stoneflies for lenok. 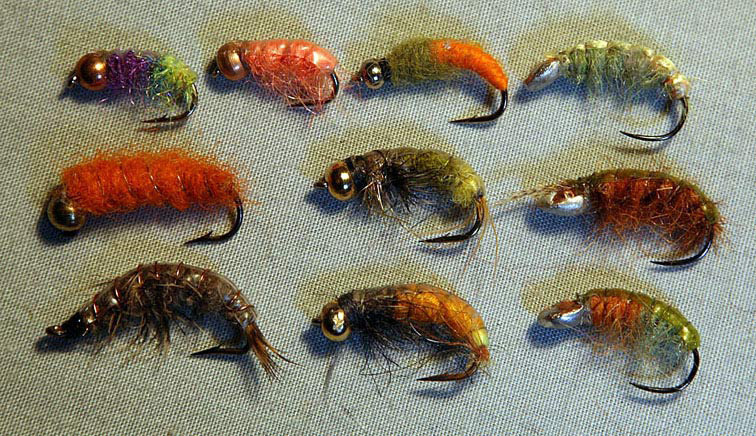 Articulated Stoneflies («soft nymphs») and the weighted bases on which these flies are tied.